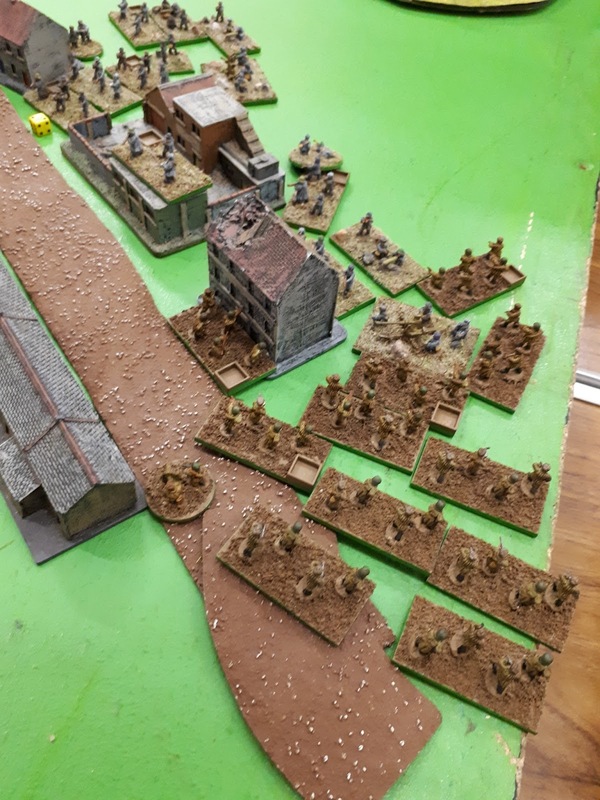 WW2 on Monday – my first game of Blitzkrieg Commander, hosted by Andy with myself taking the Soviets and Leigh the Finns in 10mm. I am interested in acquiring some 10mm WW2 forces. In many ways I prefer 28mm but the scale does not work so well for armoured forces. Having said that this was largely an infantry affair with the aim being to take control of a central town. The commissars urged the men forward and there was soon a sharply contested fight on my extreme right flank. I thought that things were not going too badly until I realised that any even relatively short push backs would take my troops off table and out of the game. After that I managed to hang on and cause some casualties, helped by a Finnish pre planned artillery strike which landed on his own troops. The Soviets just kept some forces in the town so it remained contested but weight of casualties meant that it ended up a major Finnish victory. I will keep a look out for a copy of the rules and anything usable in 10mm on the Vapnartak flea market. Toy soldiers, painting and ale! First Game in 4 weeks! I just enjoy wargaming. Simple as that. Dux Britanniarum – First Impressions.